The Research Centre for Adolescent and Child Health (REACH) is a paediatric clinical research unit within the Faculty of Health Sciences, University of Cape Town, based at Red Cross War Memorial Children’s Hospital (RCH). Opened in October 2013, it follows a decade of successful clinical research at RCH. The centre comprises 80 staff members funded through grant support, is involved in the training of 48 postgraduate students (18 masters, 25 doctoral and 5 post-doctoral) and is host to several African healthcare professionals, building clinical and research capacity to improve child health in Africa. The research program is locally responsive, addressing national priorities such as HIV, TB and childhood pneumonia as well as globally relevant, fostering international, national and local collaborations. Directed by Prof Heather Zar, this centre is a remarkable partnership between RCH, the Western Cape Health Department and the Department of Paediatrics, UCT. Child health is a major challenge for South Africa and for the continent where there is high childhood mortality and preventable morbidity. There is an epidemic of infectious diseases such as pneumonia, diarrhoea and TB. In addition, there is a large increase in non- communicable diseases in children such as diabetes and asthma; chronic diseases are also increasing as childhood survival improves such as through improved strategies for care for HIV-infected children. Yet, research in child health has been particularly under resourced, given the large burden of disease and the high proportion of children in the South African population. REACH offers a unique facility to address these challenges, to develop new better methods for preventing, diagnosing and managing such conditions. REACH provides an expanded facility with more space, better facilities and greater opportunity to do such research. The centre also serves as a hub for research in child health, supporting and developing clinical research and training across several sites including community based sites such as those in Paarl. 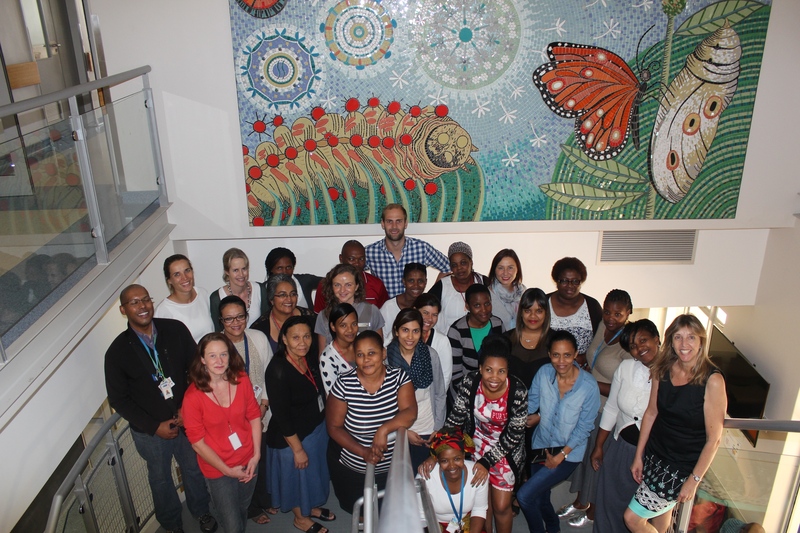 The centre provides opportunities for training of heath care professionals in clinical research – training South African and African health care professionals in clinical research, so building the next generation of academics and African leaders in child health. This centre is a remarkable partnership between the Children's hospital, the Western Cape Health Dept and the Dept of Paediatrics, UCT. Underscoring this is the strong link between excellent clinical services and excellent research. REACH will enable expanded clinical research in childhood illnesses, so advancing child health locally, in SA, in Africa and globally.